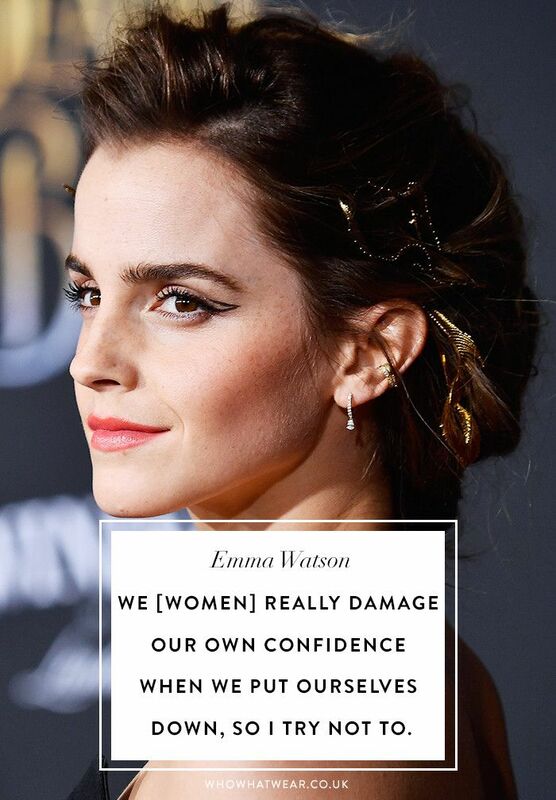 Emma Watson's unquestionable influence on women's rights has likely made an impact on all of us (male or female). From being a Goodwill Ambassador for the UN to building her HeForShe campaign as well as attending the recent Women's March in January, the actress has cemented herself as one of the leading voices in Hollywood. As she promotes Beauty and the Beast, we're taking a look at some of the sagest advice she's ever dished out. So what better way to spread the eloquent actress and activist's message than by gathering her best quotes all in one place? Scroll down for 12 inspiring nuggets of wisdom courtesy of Emma Watson, and be sure to repin and Instagram your favourites. Next up: Emma Watson's stylish guide to shopping sustainably.